When packing for a long journey there are always compromises. Some riders carry the house with them while others carry just the bare essentials. I’ve made my preliminary list for my new trip which I’m sure will be in constant change until departure date. 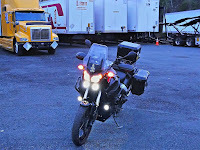 The last time I had to pack extensively for a long trip was when I rode to Alaska. Below are the links I had made. 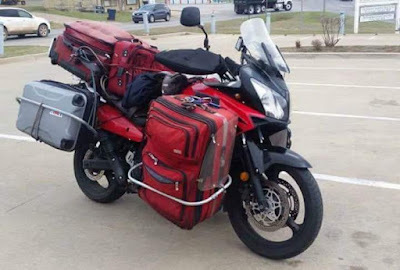 I definitely do not want to pack like this guy. 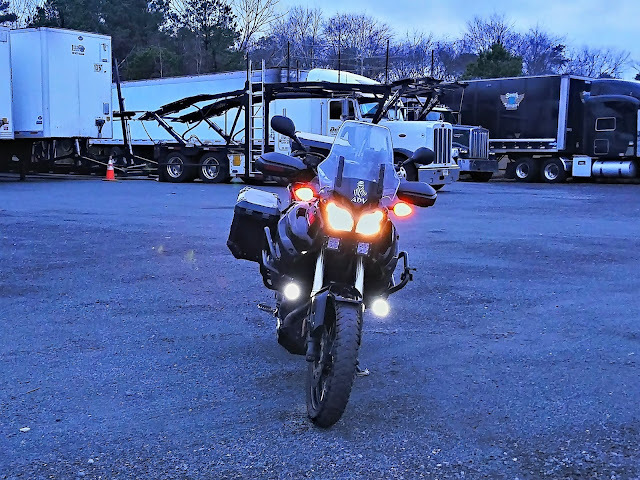 My Yamaha Super Tenere has very good running lights with a nice spread on the road in front and excellent high beams projecting far on the road ahead. I also like that the headlights consists of two side by side bulbs offering redundancy if one bulb goes out. 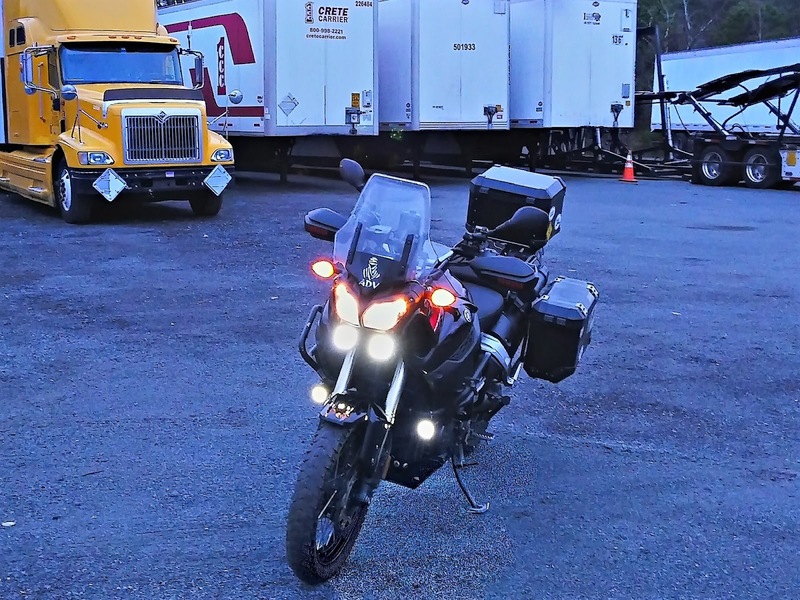 Some motorcycles use one light as running light and the second as a high beam. 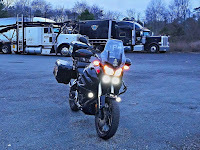 I'm happy and confident I will be seen during the day with this setup and if ever caught riding at night I have enough light to turn the night into day ahead of me. 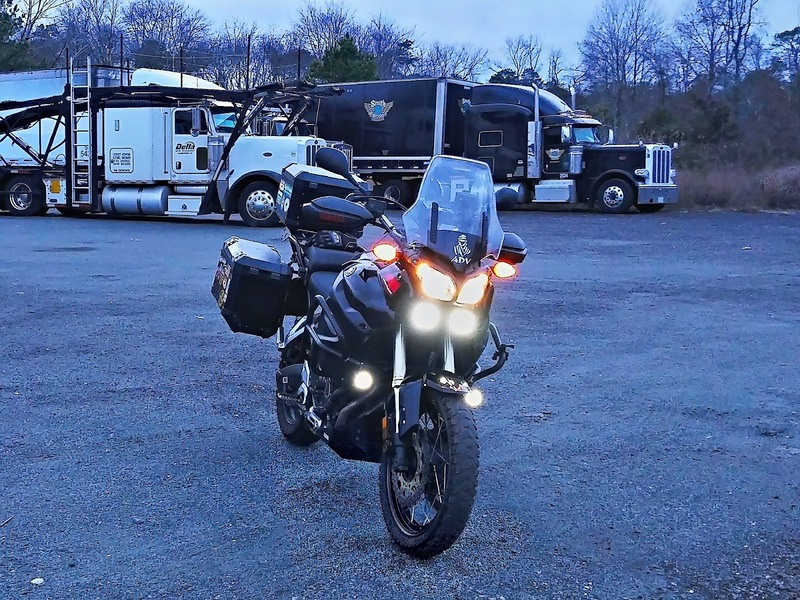 The problem with motorcycles for cage drivers is that most see right through the one headlight at cars coming further down the road and often cut in front of motorcycles. The usual response after an accident is that they never saw the motorcycle coming. The best way to enhance the front of the motorcycle is to create a triangle of light. There are various ways to mount lights, some riders mount them up high almost next to the headlight, others mount them at the bottom by the front wheel hub but both options do not create a good triangle. I decided to mount mine on the crash bars but in a way that if I drop the bike it won't damage them. They are set up through a relay to be ON all the time when the engine is running but I wired them through a switch on the console so I can turn them off if needed. Under the headlights I also mounted a set of Rigid Industries quad LED lights connected to the high beams through a relay and fuse just to be on the safe side. The Rigid are extremely bright and project a spot far down the road. I can't use the Rigid when following other cars but since they are connected with the high beam they are usually off. The four extra sets of lights are all LED and even when all are switched ON they draw a negligible amount of power. The two running lights are very bright and I have had to switch them off at night when in slow traffic and following another car closely. 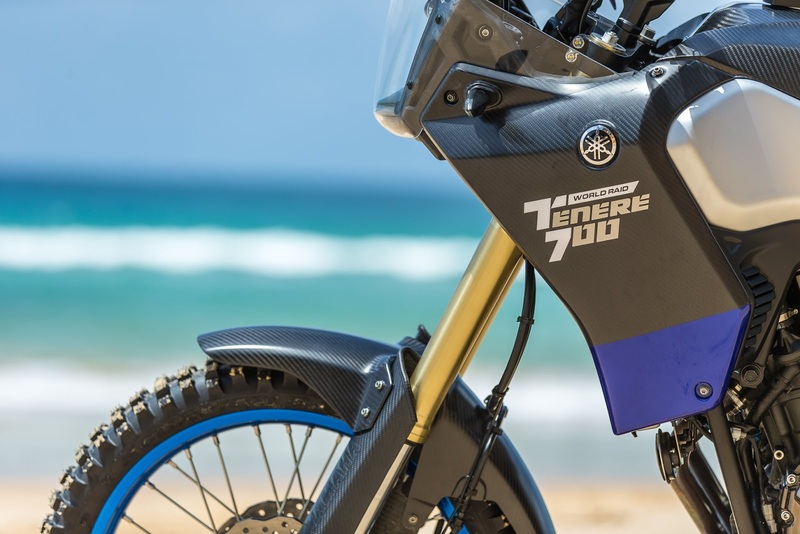 Last year Yamaha teased us with the T7 Ténéré concept and the media went crazy. 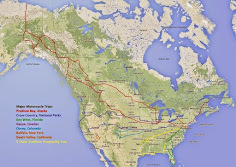 Every website and magazine article talked about the possibilities a smaller Ténéré could bring to the "adventure" crowd. The competition already had smaller adventure motorcycles in the 700/800 class but Yamaha was still pushing the very old 660cc Ténéré. Another year has gone by and while everyone expected Yamaha to announce a production model for 2018, a new concept was announced instead. What a disappointment at least on my part. 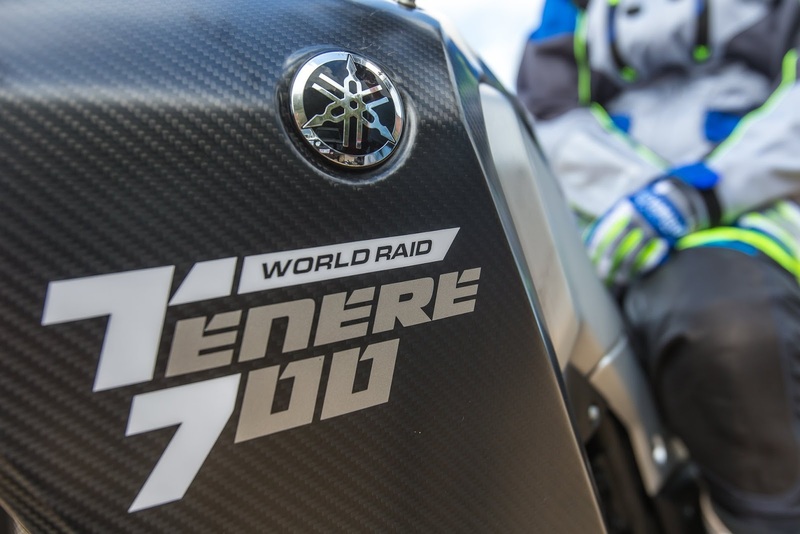 This time we get the Ténéré 700 World Raid. Don't get me wrong, the World Raid is a beautiful concept and I think Yamaha is going in the right direction but, come one Yamaha, by the time you finally release this model the competition will have taken over the market in this range. 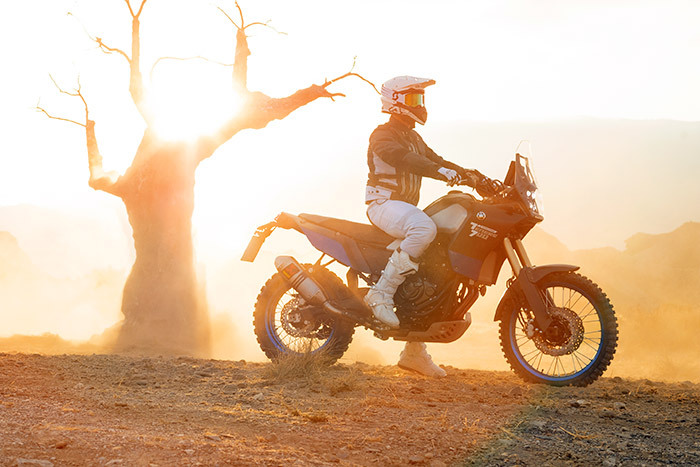 Maybe Yamaha is just waiting to sell all the Super Ténéré before they announce the new model but I believe there's a market for both models and the wait will do more harm than good to Yamaha. 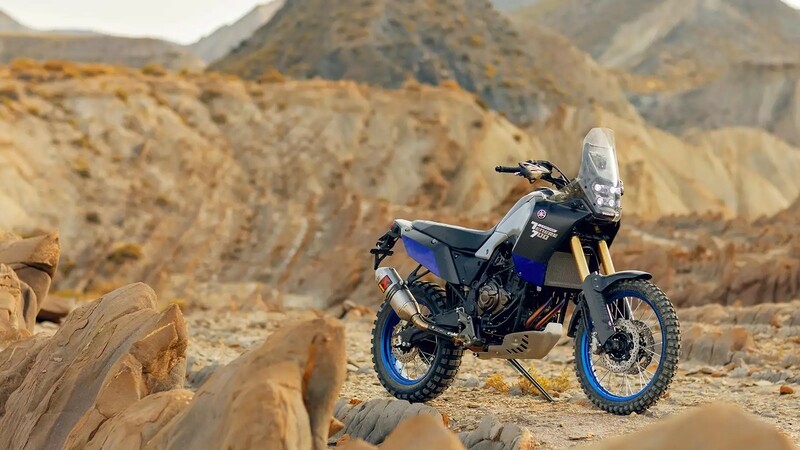 Using the rugged rally-inspired character of the original T7 concept bike and using the information gained from intensive testing of the T7 during 2017, Yamaha developed this prototype model which is being used to develop the final specification of the production model. 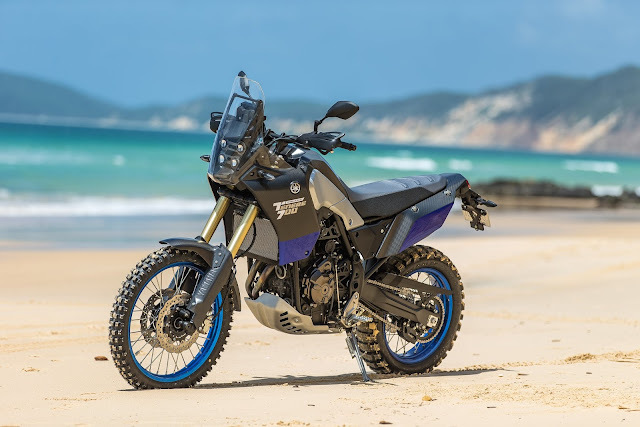 The 700 World Raid prototype uses the same highly acclaimed 689cc 2-cylinder crossplane concept engine that has been used in the popular MT-07. 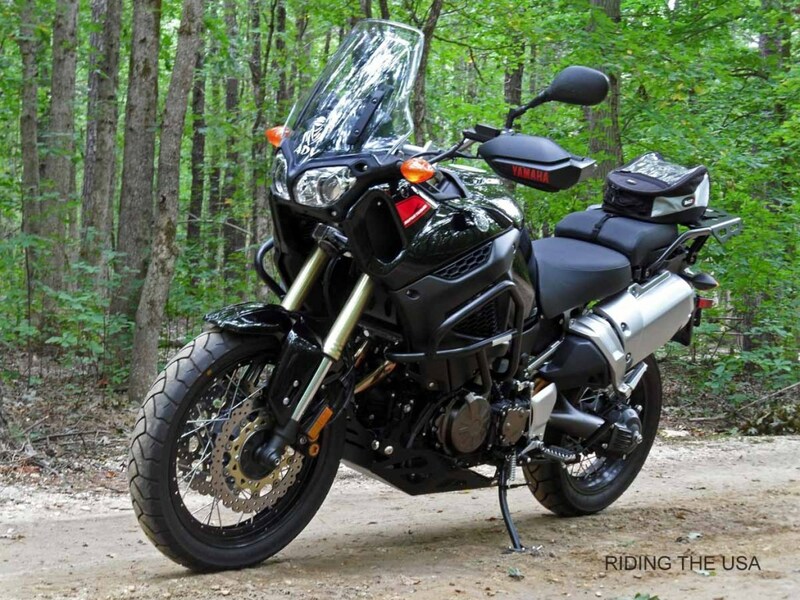 Test riders will be riding the Ténéré 700 World Raid around the world throughout 2018 as part of a “World Raid Tour but there's still no word on a production bike in sight.